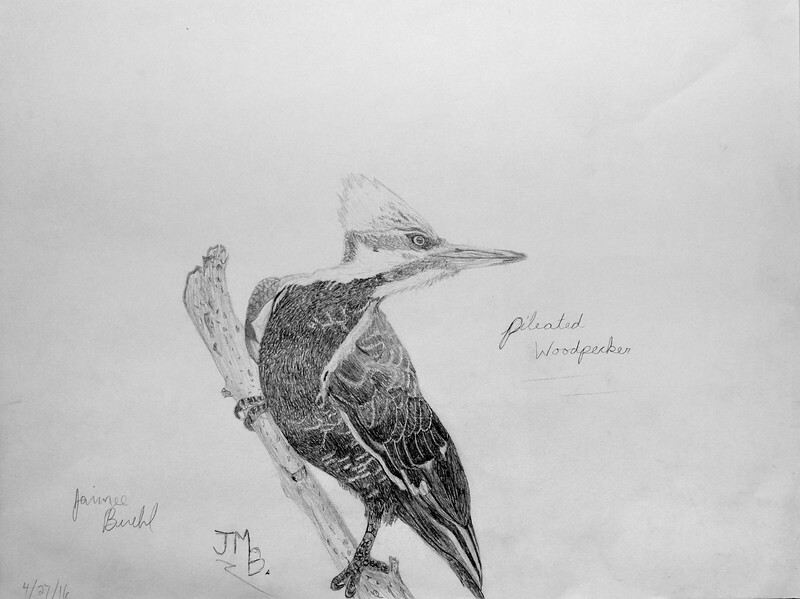 "When I was younger and first started birding, my goal was to see a Pileated Woodpecker. I was fascinated by their size and bright red crest. They will always be one of my favorite birds, so I decided to draw one."